With the holiday season being so busy, I pull out my favourite no fail recipes that are easy and quick yet still fancy and delicious. This quick no-bake cheesecake recipe comes together in a snap and will surely impress your guests. The perfect go to for your next gathering. Put 2/3 of the berries (the rest are used as they are), granulated sugar, and vanilla extract in a sauce pan. Bring to a boil and let simmer 2-3 minutes stirring every now and then. Let cool. Mix the graham crumbs with melted butter. Mix mascarpone, cream and powdered sugar until creamy. 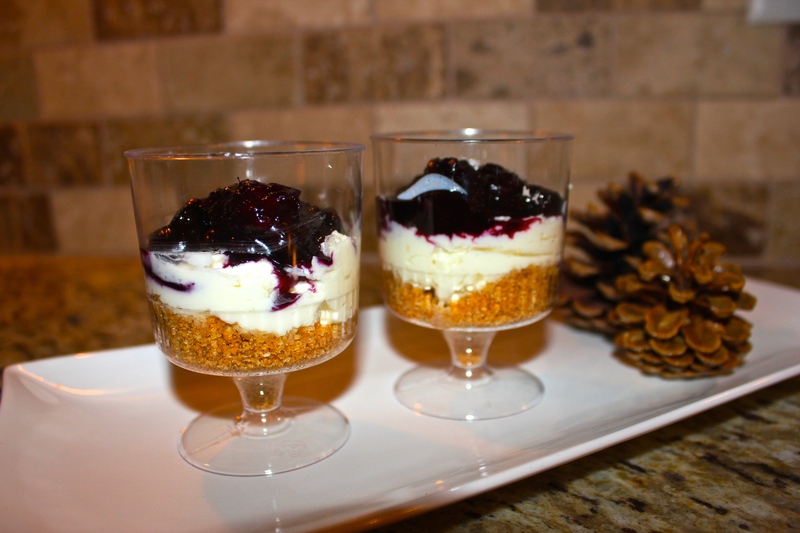 Layer graham crumb mix, fresh berries, mascarpone cream and cooked berries into serving glasses.